Buying Koi from CN Koi gives you peace of mind knowing your purchase will arrive in safe condition. 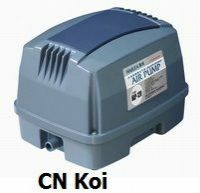 CN Koi reserve the right to amend or increase prices and delivery charges without prior notification, please visit the website regularly to ensure you see the correct prices at the time of order. You shall use the site for lawful purposes only. You shall not post or transmit through the site any material which violates or infringes in any way upon the rights of others, which is unlawful, threatening, abusive, defamatory, invasive of privacy or publicity rights which encourages conduct that would constitute a criminal offense, gives rise to civil liability or otherwise violate any law. The site contains copyrighted material, trademarks and other proprietary information, including, without limitation, text, software, photos, video, graphics and the contents of the site. You may not modify, publish, transmit, display, participate in the transfer or sale, create derivative works, or in any way exploit, any of the content, in whole or in part. CN Koi has the right at any time to change or modify the terms and conditions applicable to use of the site, or any part thereof, or to impose new conditions. Such changes, modifications, additions or deletions shall be effective immediately. Any use of the site by you after such notice shall be deemed to constitute acceptance of such changes, modifications, additions or deletions.